Want your organization featured in The Visual Organization? Over the course of writing Too Big to Ignore and The Age of the Platform, it became evident to me that progressive organizations were using different types of data in fascinating ways. They were making better decisions because employees had access to better information, but often that data was presented in innovative and compelling ways. There’s a term for this type of thing these days–data visualization–and it’s huge. Exhibit A: Tableau Software recently went public, and the results have been amazing. While I touched upon data visualization in Too Big to Ignore, there’s a great deal more to say about the matter. While I touched upon data visualization in Too Big to Ignore, I quickly learned that there’s a great deal more to write about the matter. A whole book’s worth… And John Wiley & Sons (publisher of two of my five books) agrees with me. My new book has a current working title of The Visual Organization: Data Visualization, Big Data, and the Quest for Better Decisions. It will be out in early 2014. We’re still playing with the subtitle. 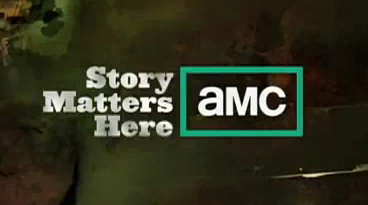 AMC’s motto is “Story Matters Here.” I like that. I believe strongly that business and technology books ought to tell stories, and good ones at that. Today, data visualization isn’t hypothetical; many people and organizations are using it as we speak. To that end, I am looking to interview people at organizations that are routinely doing interesting things with data visualization. I’m not talking about one-off PowerPoint presentations for quarterly reports. I am interested in speaking with progressive companies that routinely visualize their data–and make better business decisions as a result. I’m open to hearing from software vendors, but I’ll want to talk to real-world users of your products. Case studies will contain real company names and results. This isn’t Why New Systems Fail. This will be a color book and I want to include many visualizations. I’ll need hi-res photos (at least 300 DPI). If I can’t get these, then I’ll have to pass. The whole point is to show data represented in interesting ways. My sixth book will contain examples from multiple functions, including HR, sales, finance, IT, marketing, and others. I’m not looking to write about the same function over and over again. You will have to sign a permission form from my publisher. No exceptions. If you don’t have a good dataviz story to tell, then I’ll have to pass. I am finalizing case study selection by end of the month. All set. Book is looking great. Thanks to all for your inquiries.